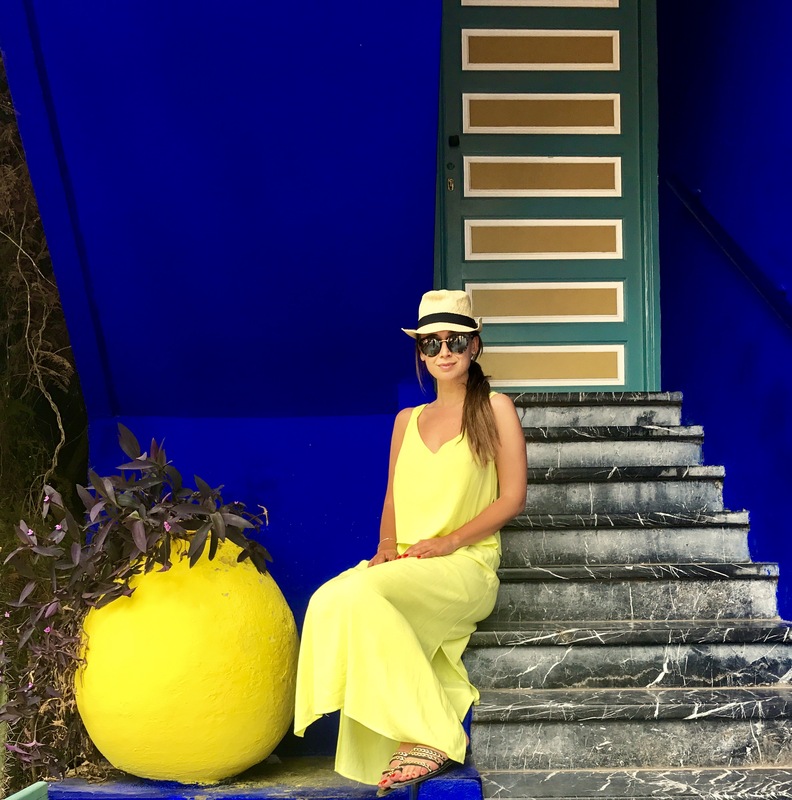 Discovering Morocco: Visitin Marrakech and A Desert Trip! For long time I wanted to visit Morocco, but I haven’t had the chance till this year. Finally I made it and it has truly been a fantastic experience with my best friend! I flew from Milan to Marrakech, which took approximately 3 hours. We spent few days in the city and afterwards we headed to the desert! 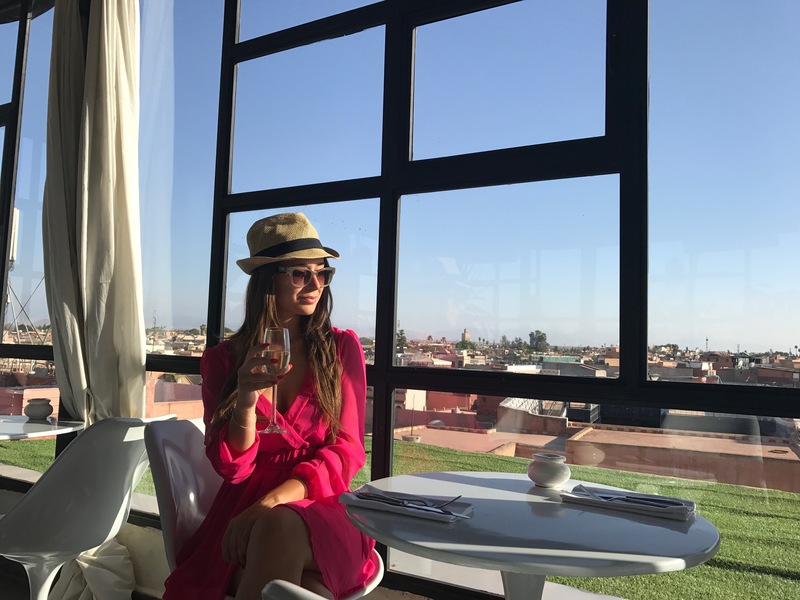 Marrakech offers really outstanding venues for your stay and you can choose between staying fabulous luxury hotels or experiencing a “Riad”, a traditional Moroccan house or palace with a beautiful interior and courtyard. I would personally suggest to do both if you can as there are some riads that are really stunning! 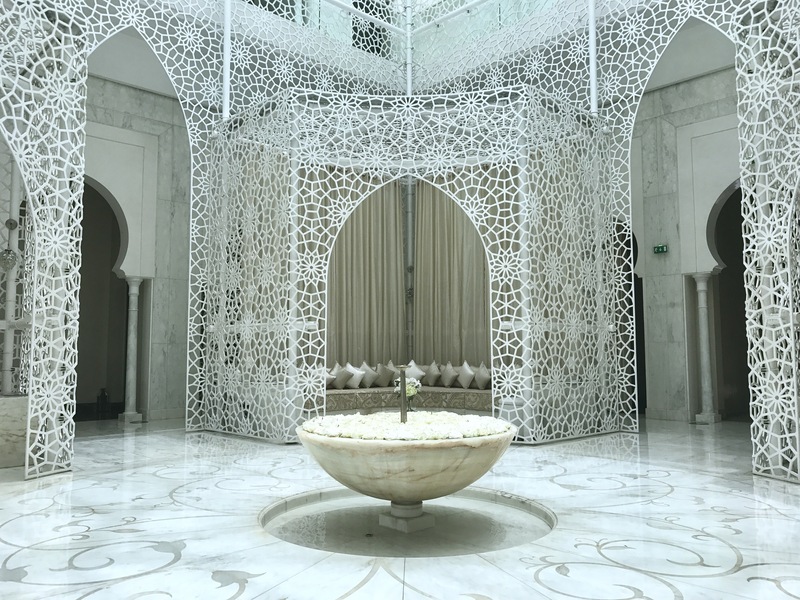 La Mamounia: luxury hotel, with a beautiful swimming pool and a spectacular spa! I had one hour massage and afterwards a delicious Italian meal at the “Italien” Restaurant inside the hotel! 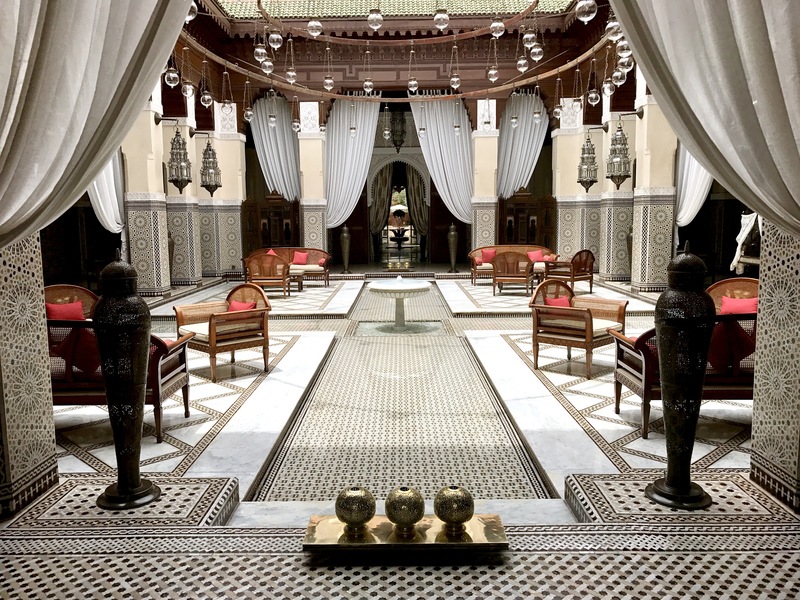 Royal Mansour: luxury hotel, dreamy spa with the possiblity of booking private stunning riads inside the hotel. It is pricey but absolutely a dream! 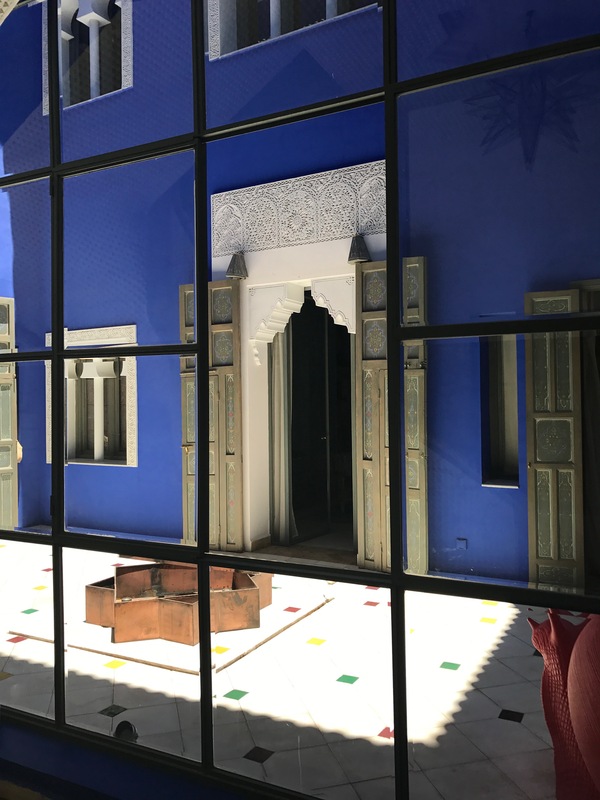 Riad Goloboy: Moroccan Riad, very cozy and pretty with big rooms. It is located near the Royal Palace, and next to La Mamounia. The staff is extremely kind and helpful, you really feel at home! Sofitel: elegant and colorful 5 star hotel, with fun and colorful art pieces and cool restaurants for dining and drinks! 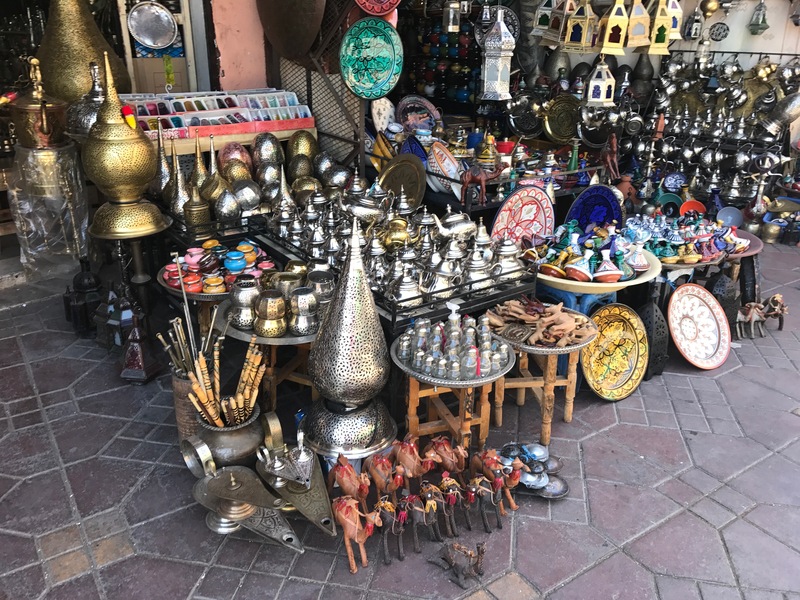 Getting around the Souks: starting from the main square (Plaza Jemaa El-Fna) you can go arounf for hours and discovering the Moroccan markets. 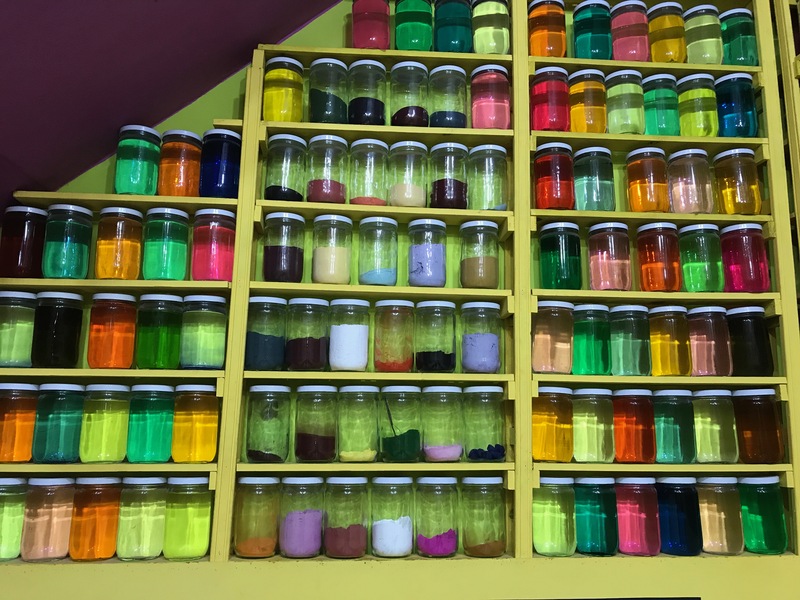 The best parts are the ones dedicated to spices and tinctures, you would be astonished by the variety of colors! Also, you will find any kind of souvenirs, clothes, shoes, lamps, silver jewelry and so on. If you can find a guy willing to bring you around it is definitely worth as they help you to see some parts that you would never find yourself! Negotiate the price before though! 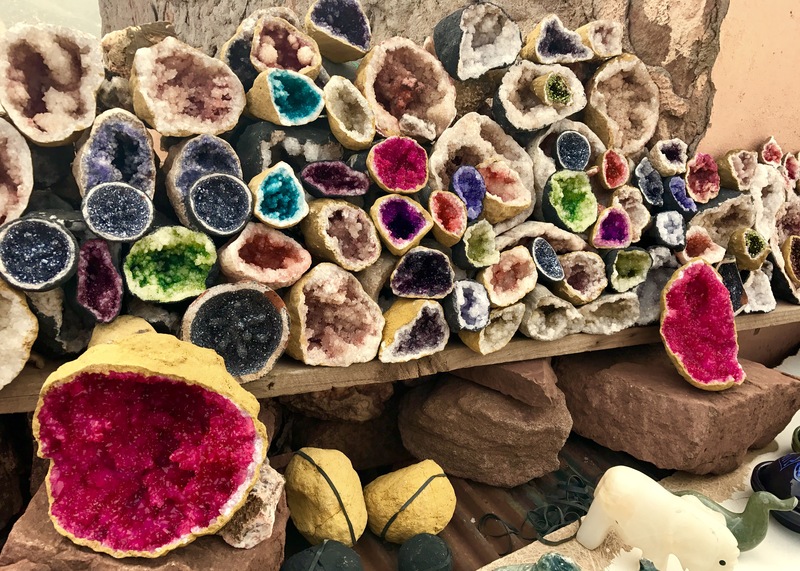 Le Jardin Majorelle: It took French painter Jacques Majorelle (1886-1962) forty years of passion and dedication to create this enchanting garden in the heart of the “Ochre City”. It contains the Museum of Islamic Art of Marrakech, which is beautiful but you can’t take pictures inside. Since 1980 the garden has been owned by Yves Saint-Laurent and Pierre Bergé. 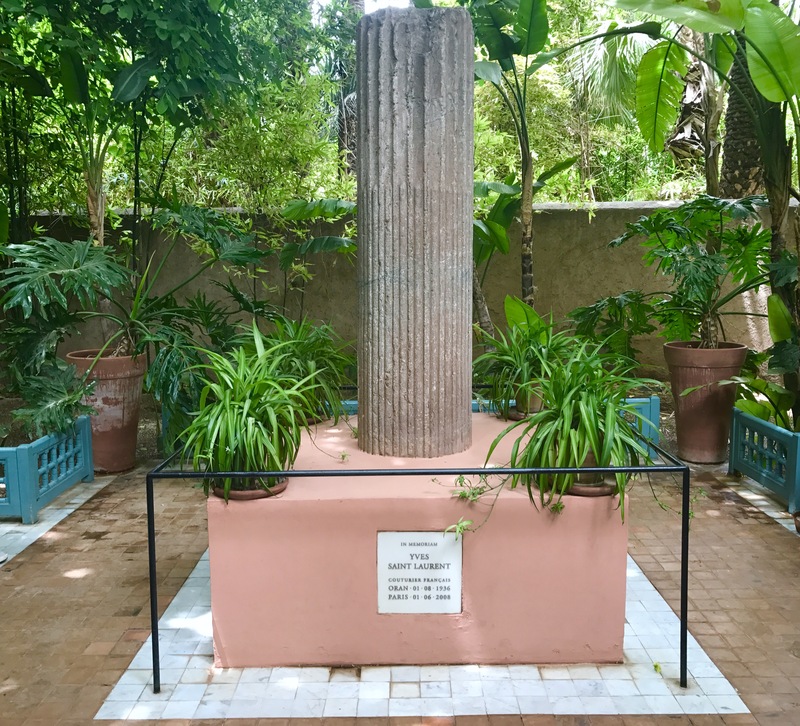 Inside the garden there is Yves Saint Laurent Memorial, as when he died in 2008 his ashes were scattered there. Mosquee de la Koutoubia: the 12th century and 70m-high Mosque is the largest in Marrakech and probably the most symbolic building in the city. Medersa Ben Youssef: founded in 14th century by the Marinid Sultan Abu Al-Assan, it used to be an Islamic college, the biggest in Morocco. It has beautiful interiors, worth visit! 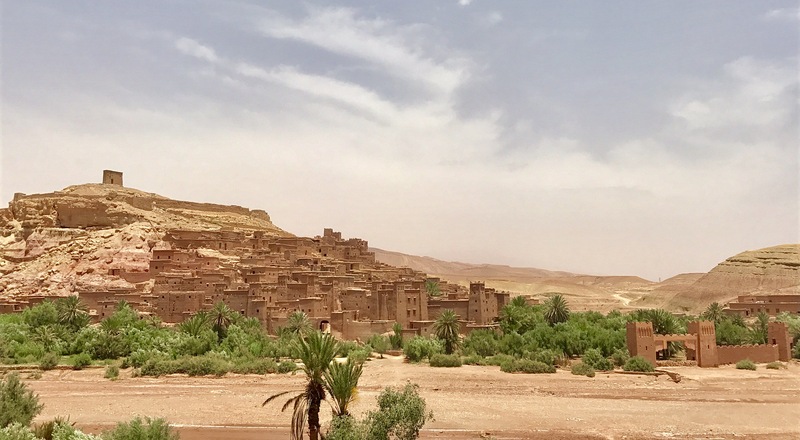 Camel Tanneries: absolutely far from being a sublime experience, it is anyway a good chance to better understand local traditions. The strong smell that comes from the tanneries is indescribable and really really bad. 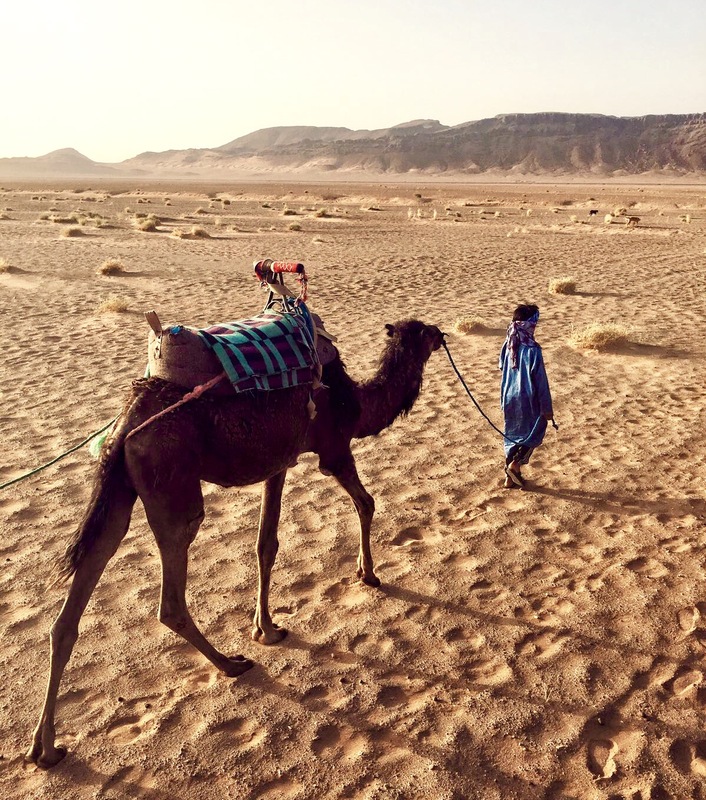 It has been tough for me standing there -even for few minutes- but I am grateful I had the chance to visit some of them and learning how Moroccan people work with the camel leather. Italien @ La Mamounia: a lovely fancy meal with a great wine selection! Italian food was spectacular! Le Salama: probably my favorite place in Marrakech. It is over 3 floors, perfect for any kind of occasion: romantic dinner on the first floor, chilled afternoon on the second, and a beautiful panoramic third floor with a nice view above the city, where there is always music and great drinks selection. The atmosphere is fantastic! Sofitel: there is a nice restaurant on the terrace (first floor). I had a buffet dinner and tried Moroccan white wine for the first time and it was good! The buffet offered a rich and great selection of food. Café Arabe: the place is nice, a bit tricky to find at night. I found Italian food way better than Moroccan. I heard the chef is Italian and I can guarantee you the food was authentic! At the beginning my friend and I wanted to go to Merzouga, but that trip would take 3 days and 2 nights from Marrakech and we did not have enough time. So we decided to go for a 2-days-1night trip to Zagora. 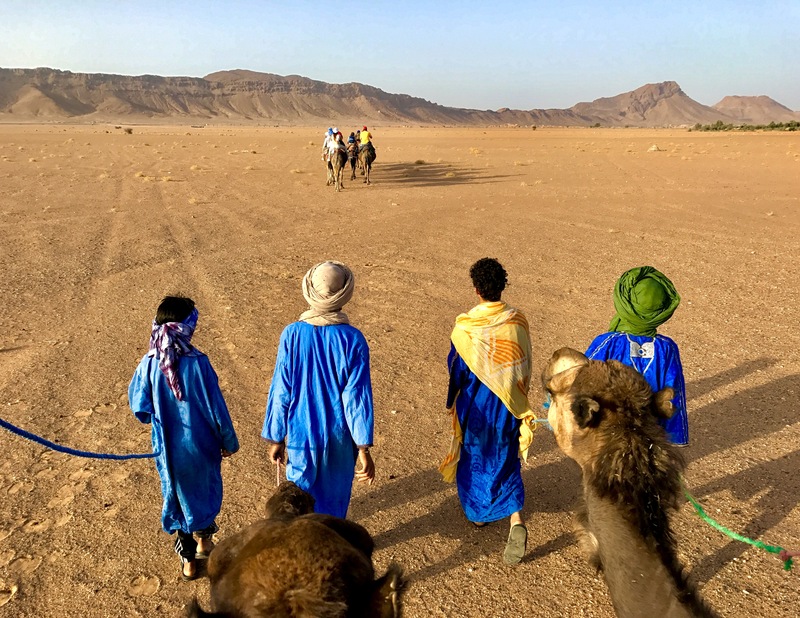 In the evening, around sunset time, we arrived in Zagora. 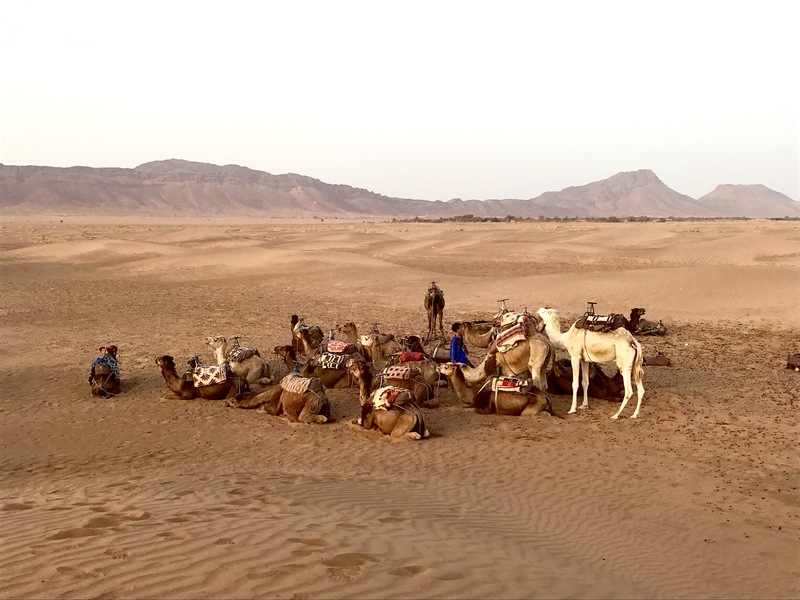 We had 1 hour camel ride, heading to a Berber camp for the night. We slept in the tents and we had Berber food. Next morning we woke up at 5am and we had the chance to see a fabulous sunrise! 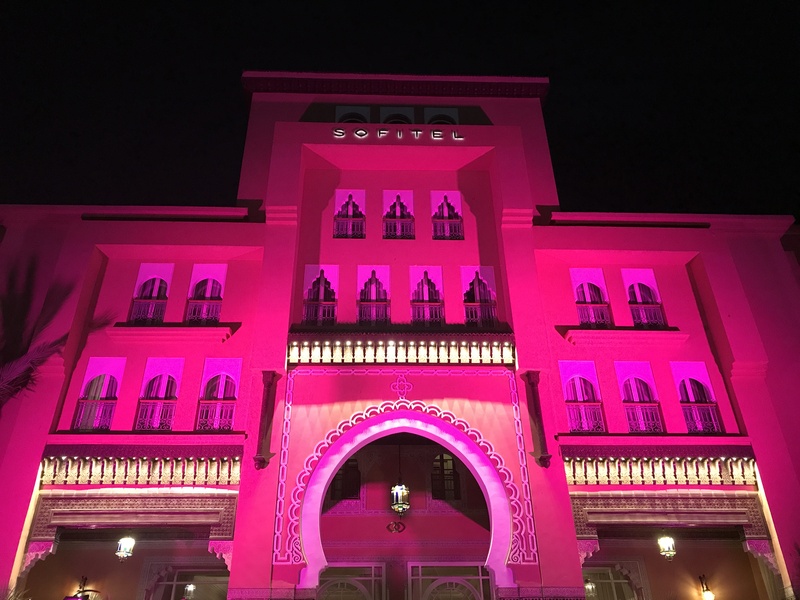 We got back to Marrakech quiet exhausted! The trip is long but definitely recommended! To celebrate the happy week, my friend and I had a great dinner at Sofitel, where we enjoyed the rich buffet and good Moroccan wine. 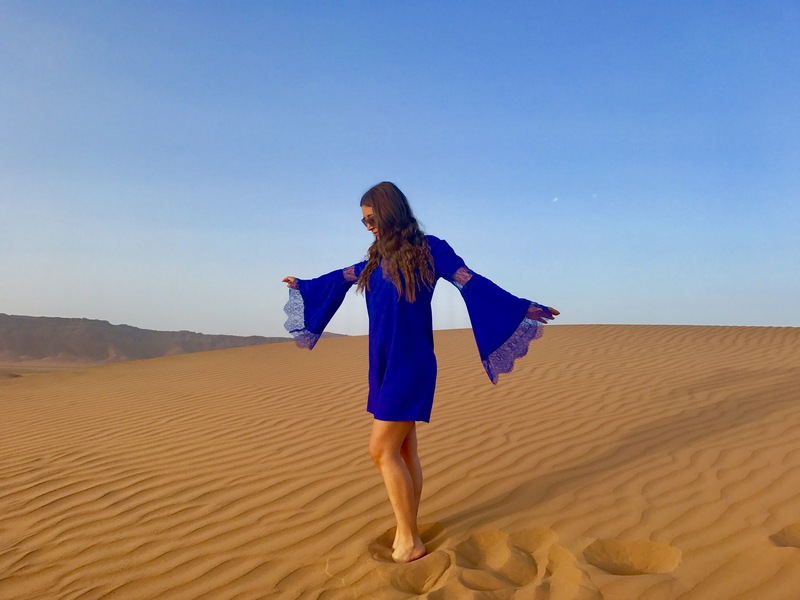 I hope this post will help you to organize your trip to Marrakech and the desert! 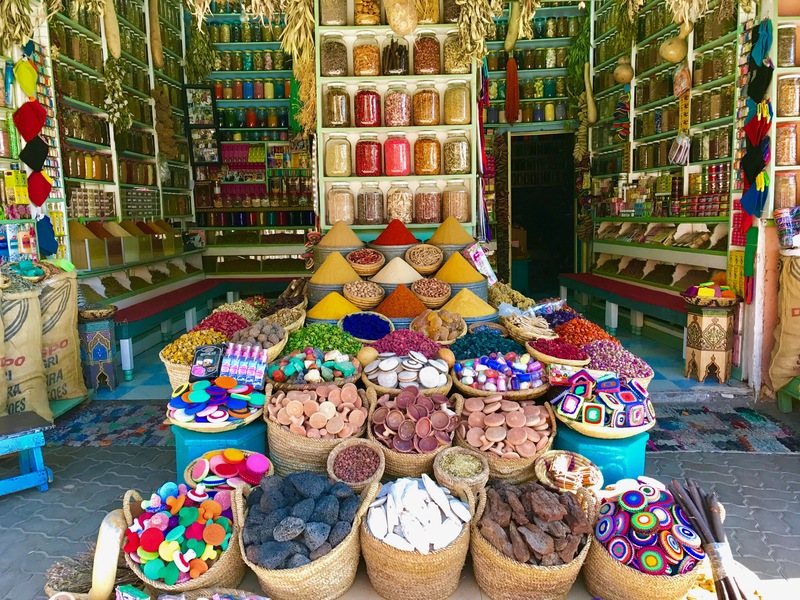 I definitely want to go back to Morocco to visit the Northern part: Fes, Casablanca, Chefchaouen and Rabat. It is now in my bucket list for the next trips! Very beautiful images. Can’t wait to visit Morocco! !